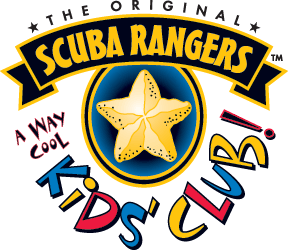 Scuba Diving course for your children – the Scuba Rangers! Scuba Professionals of Arizona’s Scuba Rangers program is one of the world’s best-developed scuba and snorkeling programs for kids aged 8 to 12. 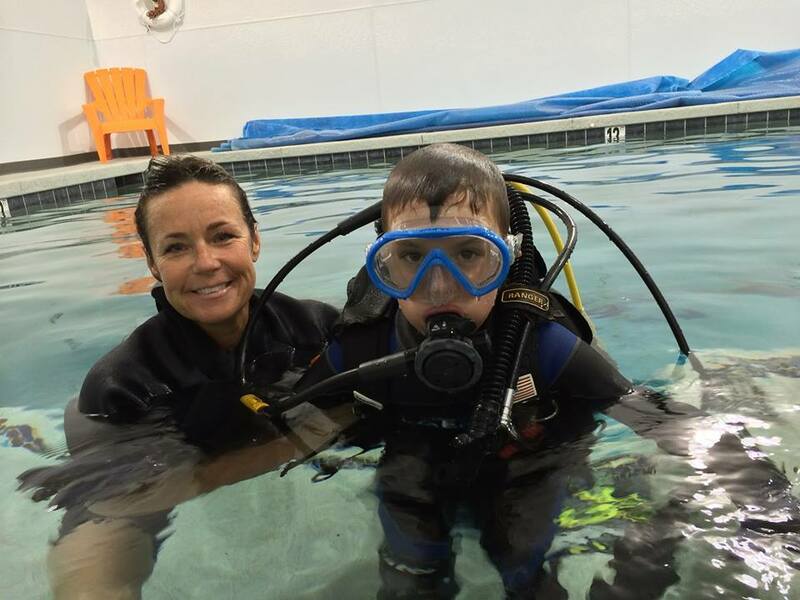 Our Kids Scuba Ranger courses are safe, interactive, fun, taught by specially trained instructors, and is designed to give kids a chance to get comfortable in the pool only with scuba equipment and skills. Once children have completed the Scuba Rangers Course, they come back periodically for further scuba skills and fun! When they are ready and old enough to become a certified Open Water Diver, they will swim circles around most of the other students! Proper Knowledge: Rangers must learn the rules of responsible diving. Proper Skills: Rangers must learn and practice basic scuba skills. Proper Equipment: Rangers must learn to use basic scuba equipment and should own snorkeling equipment, and properly maintain and care for all equipment. Proper Experience: Rangers should maintain diving proficiency, dive within their limits, and continue to learn more about scuba and water exploration. Proper Training: Scuba Rangers begin out of the water, focusing on becoming comfortable with the idea of diving, and learning about breathing, helping peers, and becoming familiar with equipment. Training is broken down into 5 different levels. The kids are taught the skills and knowledge they need to become safe and successful divers in a fun, yet controlled environment. Step 1: Red Ranger Kids demonstrate their swimming skills and learn how to swim with a mask, snorkel and fins. How to help other children is also emphasized. And most importantly, so is having fun! Step 2: White Ranger Scuba Rangers are introduced to diving equipment. What are these things for and how do we use them? Rangers then go into the pool with equipment for the first time. Step 3: Blue Ranger Scuba Rangers learn new diving exercises in the pool such as how to float in the water. Step 4: Silver Ranger Scuba Rangers play games underwater while wearing diving equipment to increase their comfort and practice the diving techniques they have learned so far. Step 5: Demo Ranger Your proud children are able to teach diving skills to parents, siblings, and friends by doing demonstrations of the skills they have learned. The cost for the Kids Scuba Ranger Certification Course is $295. It includes the pool use of scuba gear, a T-shirt, a logbook, a DVD and a training book. The only thing you need to provide is your snorkel equipment, swimsuit and a towel! After completing the Demo Ranger level, students can become Scuba Ranger Club members, and receive an official membership card. 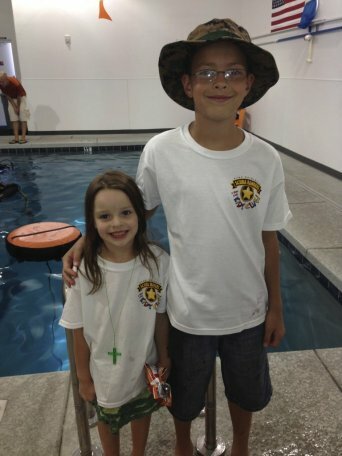 Kids become part of a network of Scuba Rangers, who can then swim together, talk about scuba, and go on field trips to aquariums or movies about ocean life. Scuba Rangers may then also specialize and learn many different types of scuba diving Specialties. Scuba Professionals of Arizona also offers Scuba Rangers Diving Trips. It’s a great way to inspire your child and provide you with an unforgettable family vacation. If you struggle to get your child interested in an activity, why not try out children’s diving school through the time-tested Scuba Rangers program? Through an exciting tier system that Scuba Rangers get excited to climb, as well as trips to aquariums, study of underwater species, films of the wonders at the bottom of the ocean, and fun educational materials like coloring books, Scuba Rangers becomes an activity that kids can’t wait to get back too. The Scuba Ranger Instructors who teach children diving school courses have not only been deemed excellent divers by our strict SSI & Scuba Professionals of Arizona standards, they have also had special training in how to teach diving to children specifically. During the Scuba Rangers sessions and club activities, safety always comes first; the instructor-student ratio is always respected, and sufficient medical resources are always close at hand.